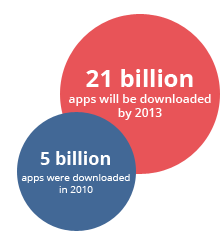 Within the last two years alone, the mobile app market has grown exponentially. More than one billion downloads were reported by the Apple store in a span of just 9 months. Shortly after, that number doubled in less than half the time. Now every mobile market is clamoring to become part of this trend with apps available on almost all mobile devices. As the global app market picks up steam, businesses are keeping pace with new technology by incorporating apps into their marketing strategy. These apps have become a revolutionary marketing tool for businesses of all sizes. 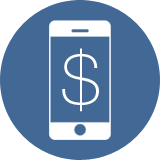 While many business owners and marketers acknowledge that there is tremendous value in developing an app, they may be hesitant to pursue app development due to the cost. However, it’s usually much more affordable than people think to develop an app! Ready to start developing an app? First, it’s important to select an app with the core functionality and features that you need.